Driving a vehicle takes skill and that’s why in Ontario a licence is not handed to you on a silver platter. If you factor in the cost of purchasing a car, obtaining auto insurance and licence plate stickers, just owning a vehicle can be expensive. Add in the cost of getting your driver’s licence, renewing it every five years, gas to be able to drive your vehicle as well repairs and regular maintenance and the cost of driving quickly goes up. So if owning and driving a car takes up a significant chunk of our budgets, why do some of us choose to make driving even more expensive than it already is? While these expensive choices eat away at our budgets they are often also unsafe. 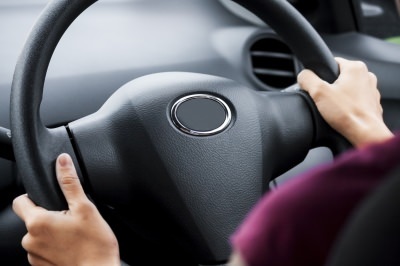 With the wide use of smart phones these days, distracted driving is most often referenced as ‘texting and driving’. Even though texting is what we most often hear about, it is not the only thing that classifies as distracted driving. Having two kids in the car can be a distraction I will admit, it’s hard to ignore. Sometimes they get upset because I can’t pick up their boot off the floor and put it back on them at that very moment because obviously I am driving. Anything that you do in your vehicle that takes your attention off the road and/or your hands off the wheel can be classified as distracted driving. A gust of wind alone could make you lose control of car, even a hands-free device can be a distraction. Eating, talking to other people in your car, changing a cd or radio station, grabbing a cigarette, are all requiring you to take some form of attention off the road whether it’s visual, taking your hands off the wheel or getting caught up in a thought or conversation. Sending a text message or updating your Facebook status while you are driving requires you to take your eyes and attention away and your hand(s) off the wheel, and right now will get you a nice fine of $155. I don’t like getting my cell phone bills as it is, I don’t want to pay $155.00 for one text. Is this fine having an impact? As of March 18, 2014 the fine for distracted driving in Ontario will be $280.00. The reason for the increase? Because as a society we just do not seem to get it, we have become so attached to our iPhone’s that $155.00 doesn’t seem to stop us from picking up the phone while slowing down for a red light or talking away while driving down the highway. The Chief Justice of the Ontario Court of Justice with no prompting or requests to look over this law decided maybe this might makes us open our eyes a little and put our phones down. 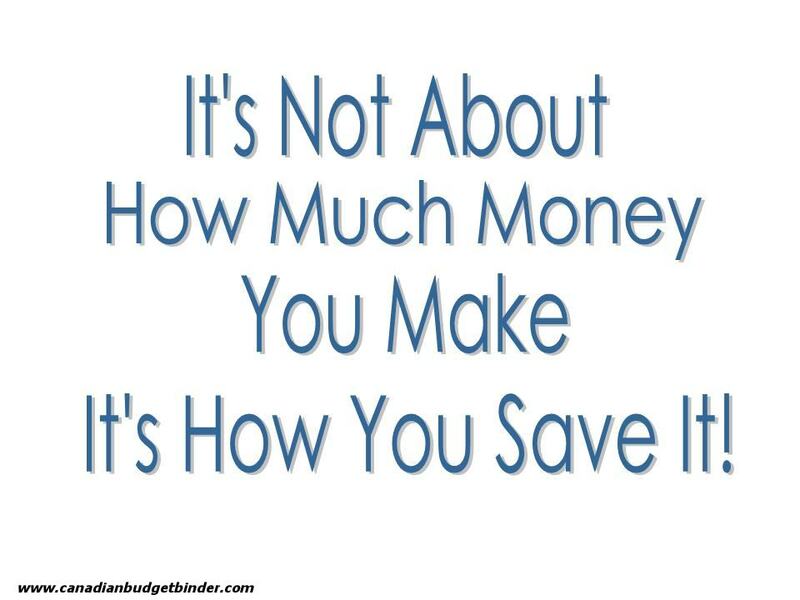 And it should, that’s $288.00, I don’t have that kind of disposable income, maybe you do but is it really worth it? There is discussion of demerit points eventually accompanying the fine that may also likely increase, again. The fine alone doesn’t seem to make people want to think about their safety and the safety of everyone around them so the possibility of losing their licence might. Demerit points are used by the Ministry of Transportation to assess your risk as a driver, they can revoke your licence or make you explain to them why you should be able to keep your licence. You start with zero demerit points but the more you get the more likely you are to have your licence revoked, they stay on your record for 2 years. Many traffic offenses are part of the demerit system including speeding and not wearing a seat-belt. Distracted driving has been the cause of too many accidents, fatalities and property damage and with our technology generation it is only getting worse. Everyone knows Drinking and Driving is wrong. Not only illegal but put the lives of everyone at risk. Too many people still do it though. Under new legislation that was introduced in Ontario in 2009 you will receive a 3 day driving suspension for your first offense of a having blood alcohol concentration of 0.05-0.08. A second offense will come with a 7 day driving suspension and you must attend an alcohol education program. Finally with a third offense you will be suspended for 30 days from driving, must attend an alcohol education program and have an Ignition System Breathalyzer installed in your car for 6 months as a condition of your driver’s licence. This is Mr.CBB I’m cutting in Katrina’s post to share a personal story from a friend which is very important. Besides not losing a life this story ends with a happy ending and lessons learned. Now the young lady below I will talk about is taking it upon herself to share her experience to help save others’ lives. Think twice if they will pay to have the breathalyzer installed and removed that’s coming out of your budget. The costs are astronomical when you are caught drinking and driving let alone potentially losing your life and those you are putting at danger. A close friend I spoke to told me she paid in total $6000 for lawyers, fines, breathalyzer and a pardon. She blew well over the limit after a fun night out drinking with her friends and ended up in jail for the night, lost her licence and the nightmare began. She didn’t know what she was doing because she was so drunk yet the passenger did and didn’t try to stop her because she wanted a ride home. Boy, I hope she got a wake-up call as well. It could have all been worse. When I asked her the lesson she learned she told me, “take a cab, it’s cheaper and will save your life and anyone else’s life”. Not to mention losing points on her licence and your insurance premium may go up you have to deal with a breathalyzer and for her it was a year not just 6 months. It’s nothing compared to what I would have had to go through if I had killed someone, myself or put the families through. It brings me to tears every time I think about that one night that changed my life. One year of embarrassment and blowing into a machine to start her car but she understood and accepted what she had done and the consequences that had to be paid. She knows we all make mistakes in life and she wishes this wasn’t one that she had to learn. It’s common sense to make sure you arrange a ride before you get drinking if you plan to drink. She was young and was out drinking all the time with her friends and didn’t have a care in the world other than paying her bills, working and friends. She knows this happened to teach her a lesson and to stop her before she killed herself or someone else. Normally she did arrange a ride but this time she didn’t. She said she knows so many young people who leave the bar and drink and drive. Probably why we see police cruisers waiting outside. People may get upset but come on, they are trying to save lives. You don’t think how one or two or even four drinks can affect you. “That night changed my life forever”, she said. It was all the little things that added up she said but she had to pay for everything. The breathalyzer ran her about $100 a month for a year not including install and removal. “Think twice before getting behind the wheel”, she says. According to statistics 16,000 people every year are convicted of drinking and driving being over the legal limit of 0.08 in Ontario. That’s 16,000 people who thought they were okay to drive and put the lives of others at risk and risked losing their own life and vehicle. Not only are you putting people’s live at risk but if you are dependent on your car to get to work how are you going to get there for the next 30 days? Do you drive for a living? You may need to start looking for a new job. If you kill someone while driving drunk you are most likely facing vehicular manslaughter and jail time. I have had a couple of speeding tickets over the years with almost 10 years since my last ticket ever. As I have gotten older I have realized that I have a lot more reasons not to speed than I do to speed to make it to work on time or rush to an appointment. Not only because a speeding fine has to come out of your budget somewhere and I am sure most people do not include a ‘speeding ticket’ category in their budget, but for the safety of myself, my kids and everyone else on the road. If we plan ahead and give ourselves enough time to get where we are going there is no need to speed. As it has been said many times, it’s better to arrive late than not at all. If you are caught driving 50 km/h or more over the speed limit, street racing or driving aggressively it is an offense under Bill 203 The Safer Roads for a Safer Ontario act. You may face a fine of a minimum $2000 up to a $10,000 fine, immediate suspension of your driver’s licence up to a maximum of 2 years and your car will be impounded for seven days. A 10 years driving suspension may be enforced if you are guilty of a second conviction. Unfortunately too many distracted and impaired driving charges have been laid only because of an accident caused or a fatality. As kids we are taught that with every action comes a consequence. We need to remind ourselves of this often and think about how we do things affects those around us. If you feel you can’t control yourself from picking up your phone when you are driving then put it in the trunk. If you are planning to have a few drinks then make the proper arrangements ahead of time for a safe way home. You are not only putting your budget at risk of fines but the safety of everyone else on the road. Let’s remember to keep our eyes on the road when driving and do what we have set out to do….drive! It is safer for all of us and really, isn’t it nice to get away from our cell phones sometimes? Take a break from Facebook and text messaging and you may find you’ll really enjoy it. Let’s plan ahead, slow down and NEVER drink and drive! In 2013 the Ontario Provincial Police issued 19,000 distracted driving fines and they plan to move ahead full force to make sure we keep our roads safe. Will the increased fine of $288.00 stop you from texting and driving? 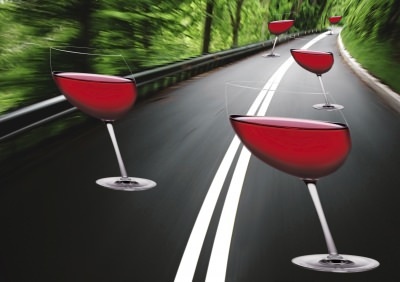 Excellent post and I like the wine glasses on the road. A moment of carelessness, cockiness or distraction can cause a serious accident that makes you regret your actions for the rest of your life, that is if you are yet alive. This is specially the problem among young drivers. They think they can handle multi-tasking or they are invincible. It would be nice to find a course that shows them how dangerous distracted driving can be. From time to time various organizations run these course. Or you could just find a video online and watch with them to show the consequences of texting or using your phone while driving. Of course, you cannot try to teach them and you make the mistakes you preach against in front of them (or not). I’d never consider drunk driving rather than have. One among my coworkers is in jail right this moment as he a second offense. So the cost might be a LOT greater in case you repeat your mistake. He could be lucky they are taking him back so he can be employed after this short stint, but he or she is taking a loss while being away, and losing time along with his son. He had no car to go to work previously together to adopt a taxi cab or get yourself a ride with another person. It adds up! Regardless of actual costs, I do believe the emotional and mental pricing is sometimes greater. Love the article Katrina!!! We don’t have a cell so we take the younger boys cell with us going out of town, just in case. It travels in my purse and is not even turned on unless I’m using it. I do the driving and hubby has a mental block when it comes to using it, it drives him nuts. I’ve been DD for the family for years as I seldom ever drink anything stronger than tea. Our daughter used to go to a friends place and the bunch of the girls would call a cab from one place if they were all going out together. I still remember the older boy calling from Petewawa after he was posted there… he was so happy. The O Club was across the street from the barracks!!! He could walk there and back!!! I remember years ago, my late mother-in-law’s honey-do would make sure he left her place for his place by a certain time…. in order to miss the RIDE program. The old boy found out exactly when and where they would be setting up the road blocks so he could avoid them…. we were not impressed and let the kids know we were not happy about that. He saw nothing wrong with getting behind the wheel after drinking, but that was his generation too. I have no patience with drunks so he was never my fave person to put it politely.